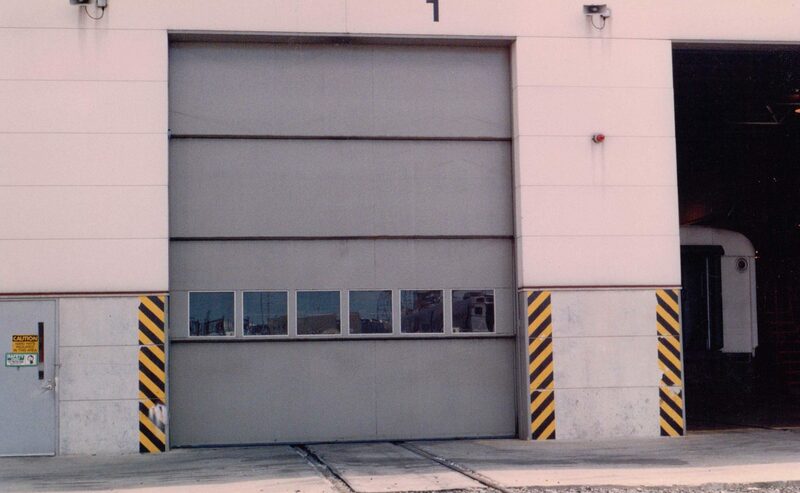 EPD Four Fold Doors provide excellent service for transit industry applications and can be designed to meet the needs of any mass transit operation, including bus or rail facilities. 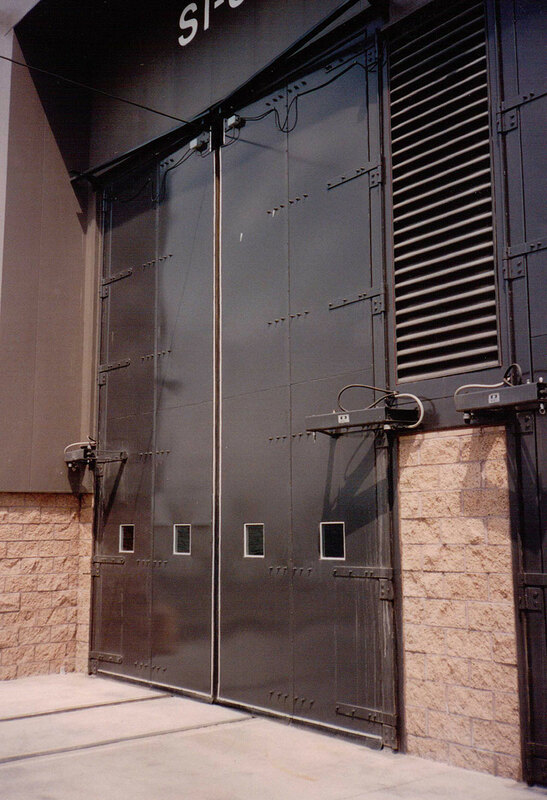 Doors can be designed with a cut-out to accommodate a continuous catenary wire. Floor guides are not required, the doors glide easily above rails. 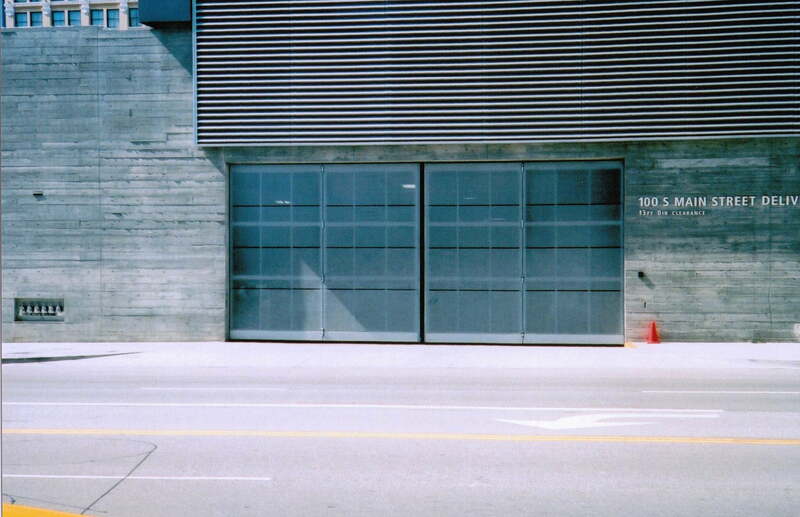 Doors can be designed to match the design of any building. Controls are customized to the needs of the facility, including automated controls and photo electric eyes. 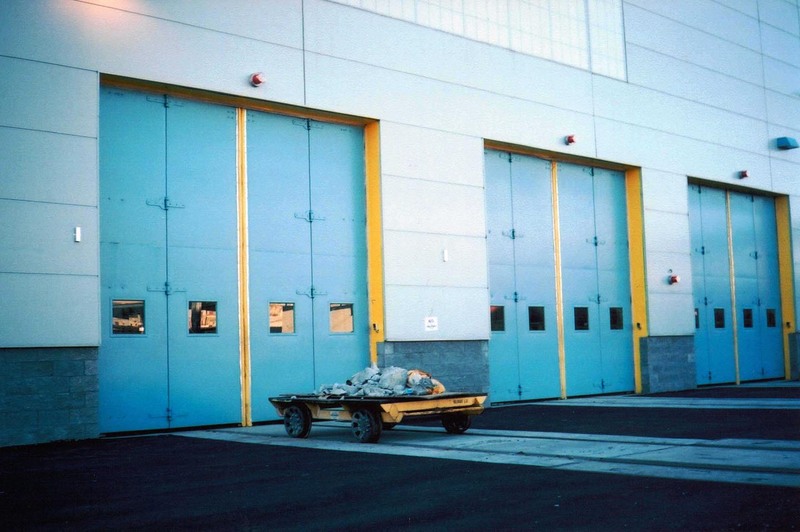 Long lasting EPD Four Fold Doors will operate for over two million cycles. Designed to last the life of the building with minimal maintenance. Hydraulic operating system easily handles high cycling requirements. 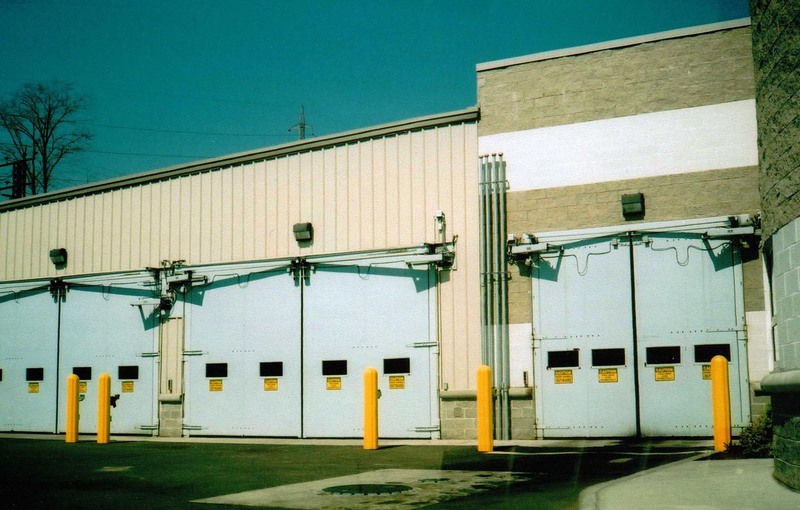 Door panels are heavy duty, constructed with “Made in America” heavy gauge steel. Doors are resistant to abuse. 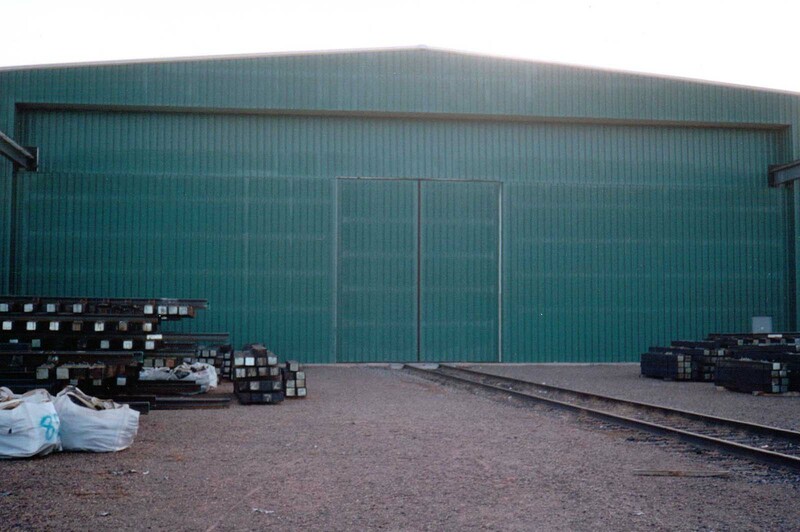 Panels can be insulated and provide high thermal efficiencies. Tight sealing weathering system developed and tested to reduce costs associated with air infiltration. 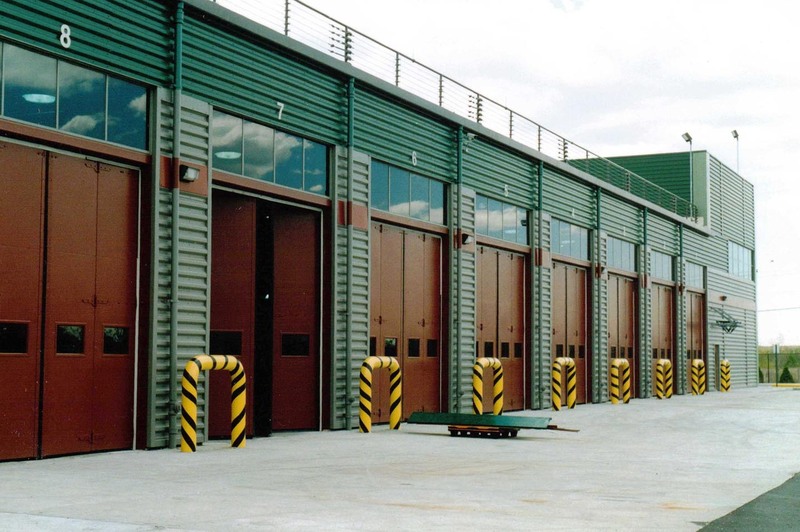 Doors will withstand severe weather including extreme cold, heat, and high winds. Door’s operating method reduces the likelihood of damage. EPD Model 46 Four Fold Doors. Southeast Brooklyn Bus Garage Facility in Brooklyn, New York There are 20 EPD doors on this bus facility used by the Liberty and Green Bus Lines. EPD Model 39 Four Fold Door with a Catenary Cut Out The doors are interior mounted at Amtrak Facility. EPD Electric Model 39, Four Fold Doors with Catenary Cut-Out. 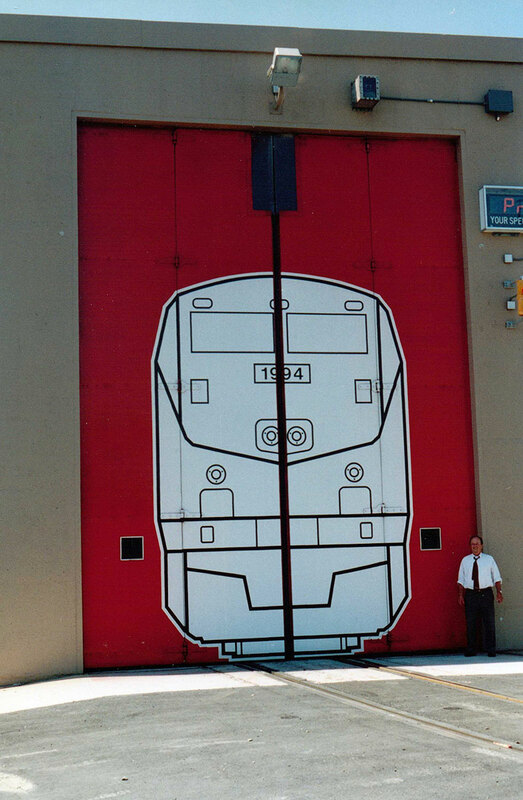 Twenty doors 15′ X 20′ were installed in 1990 Baltimore Light Rail, Baltimore, Maryland. Bi-Swing and Craneway ABC Rail WI. 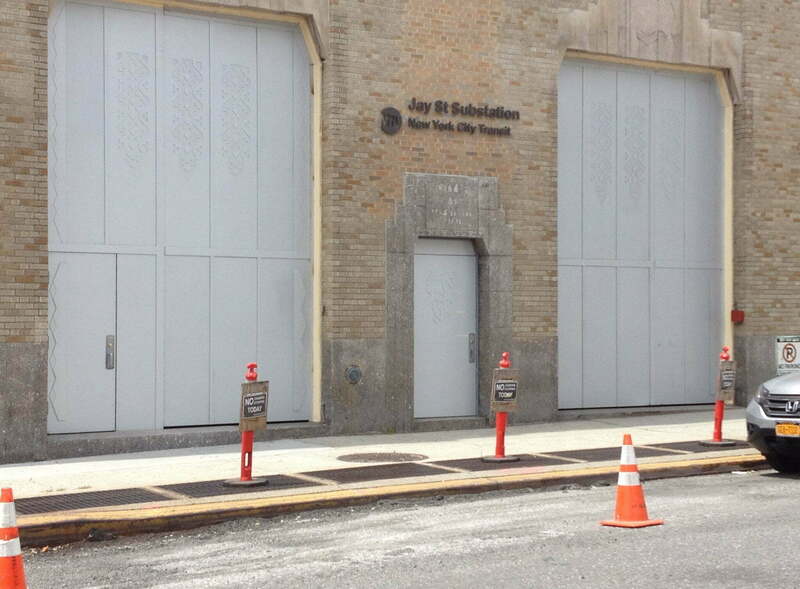 Bi-Swing and Single Swing with Etched Panel Design Jay Street Substation NY. 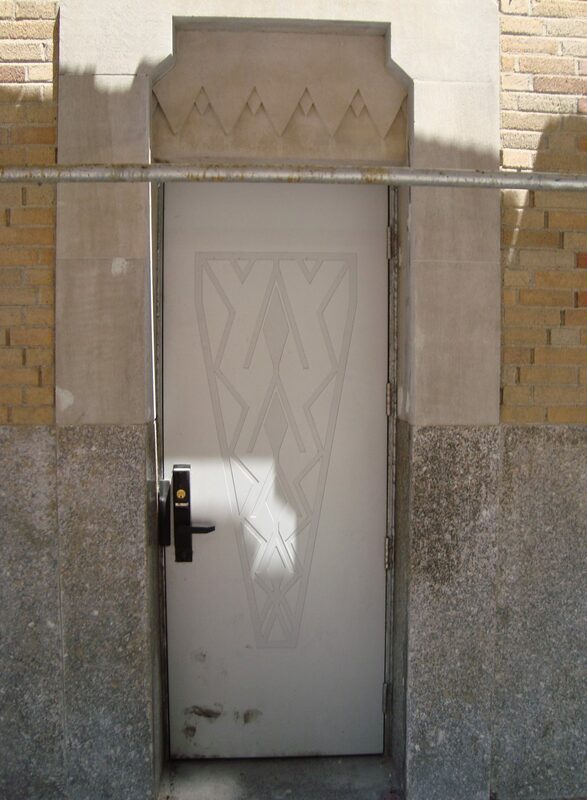 Bi-Swing with Etched Panel Design Greenwich Substation NY. Four Fold Model 39 (Catenary) and Model 41 LA Green Line Maintenance CA. 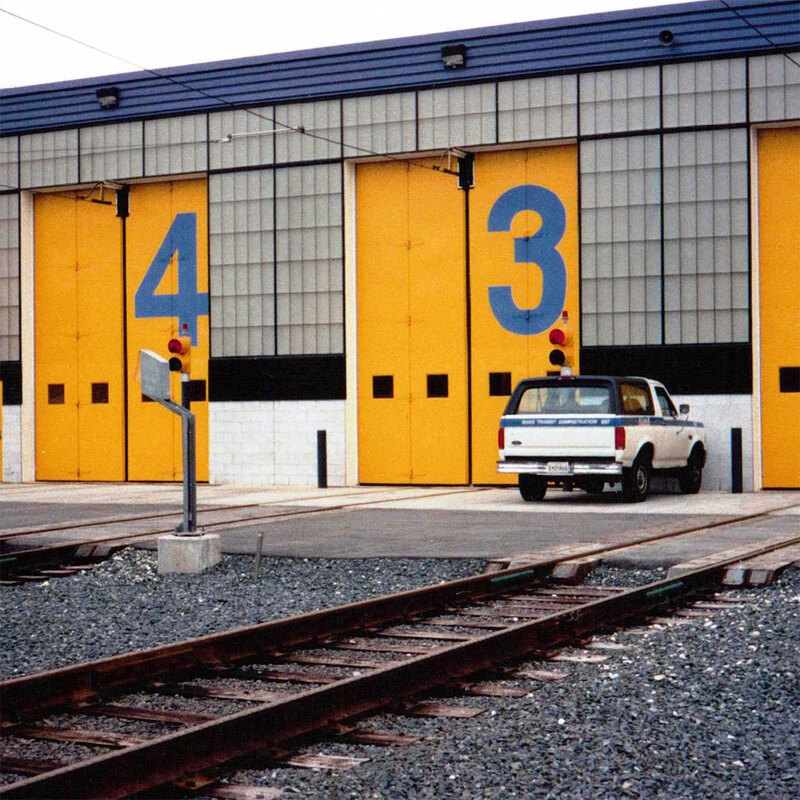 Four Fold Model 41 NJ Transit Arch Street Yard. Four Fold Model 41 Stamford Bus Garage CT. 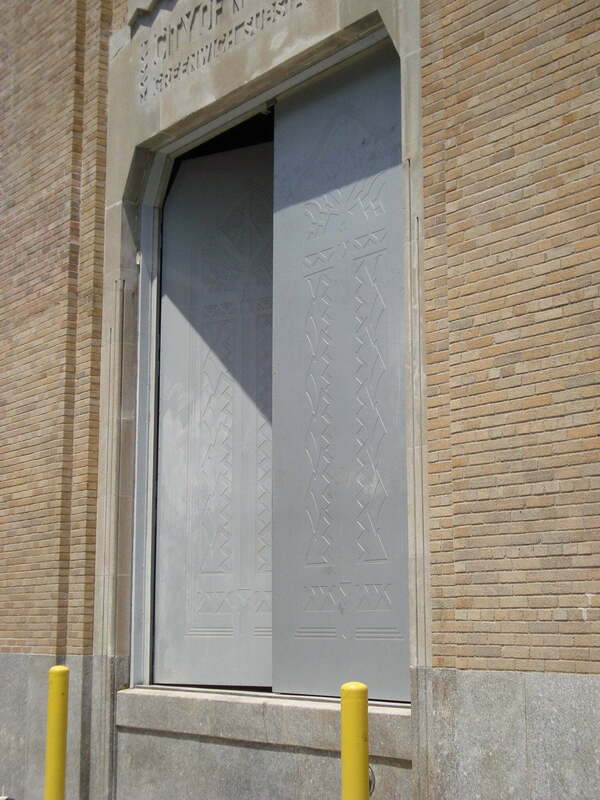 Single Swing with Etched Panel Design Greenwich Substation NY. Vertical Lift with Vision NJ Transit Kearny NJ.